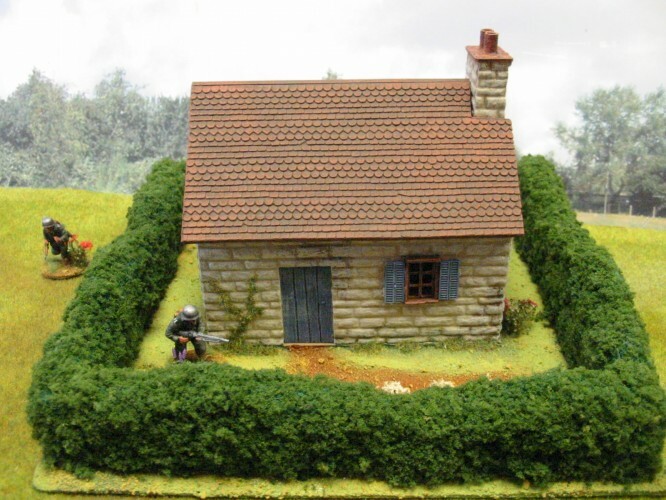 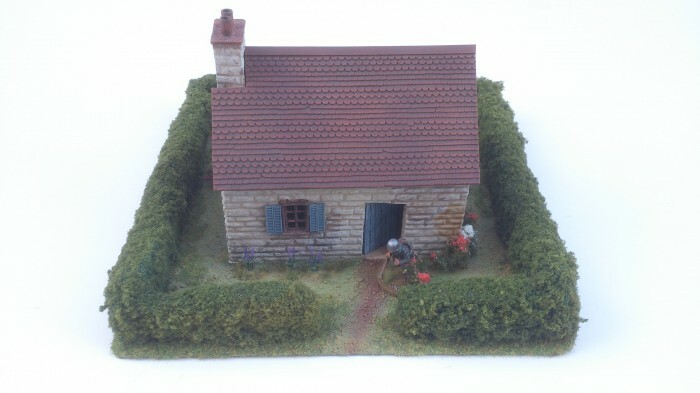 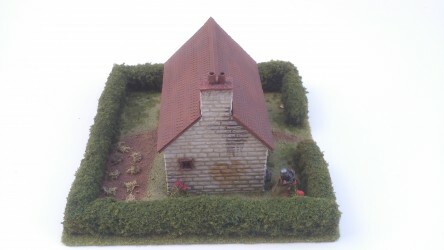 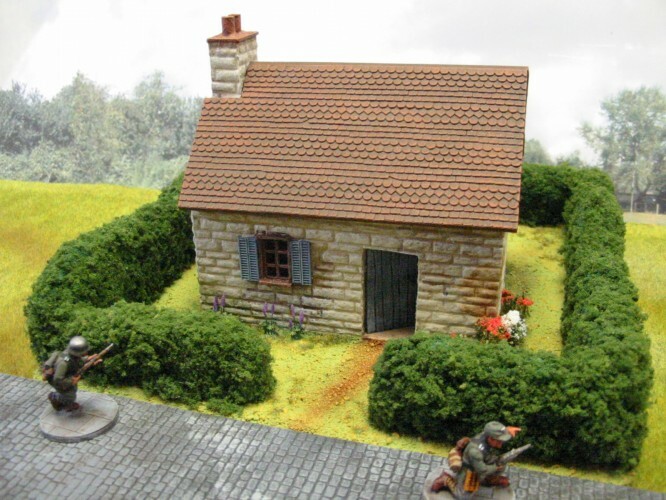 This is a unique scratch built model packed with detail, based, with landscaped garden and enclosed within a boundary hedge. It has been completely hand painted with acrylics; washes, dry-brushing and weathering techniques have also been used. 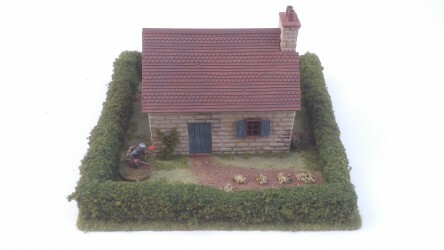 Suitable for England, France, Belgium and Holland from around 18oo (or perhaps earlier) to the present day. 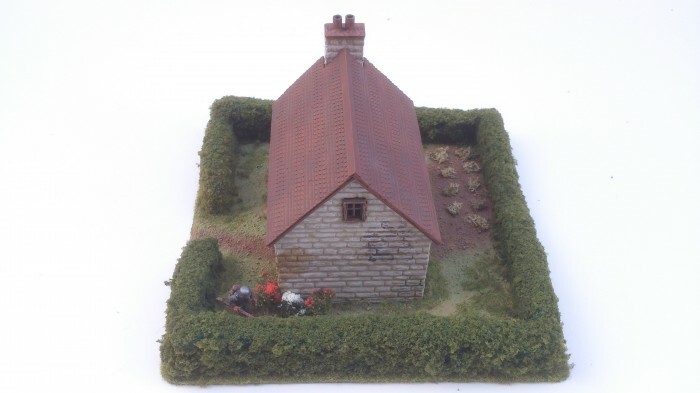 The roof is removable and the underside of the base is covered in felt.